We are here to improve the quality of your life through therapeutic body massage. What is the number one problem that the majority of people suffer from on a daily basis? Stress! That’s what we are here to relieve. 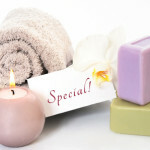 You won’t believe how you will feel after a one-hour therapeutic stress reliever massage. Along with your massage we will conduct a pain-free blood analysis and will be able to tell you on the spot what kind of improvements, if any, you can make in your life to feel better and get more out of every day.